What was originally billed as “the Great and Holy Council” threatens to leave a legacy of a great and unholy mess. The mess to which I refer is the bitter battle and division swirling around the question of whether certain documents produced by the council were genuine and unexceptionable or erroneous and heretical. The statement on ecumenism draws most of the fire, with some people saying that the use of the term “church” in the statement to describe non-Orthodox Christian groups denies our dogma that Orthodoxy alone is the one true Church, and other people denying such a conclusion. Accordingly some say that the council preaches a heretical ecumenism and should be soundly and loudly denounced, and others say that even if the council was a bit of a yawn, its conclusions were sound enough so that only a fanatic would deny them. The battle lines were drawn even before the council concluded, with many shots over the bow being fired before the attendees of the council returned home. It cannot be said that the Ecumenical Patriarch has done much to de-escalate matters and help everyone involved to relax. Voices from the Phanar were saying that the conclusions reached by the council were binding upon everyone, including those churches like Russia who did not attend the council. Further, Patriarch Bartholomew “called on the Archbishop of Athens to prevent reconsideration of the results of the Holy and Great Council and defend the documents approved at it” and called on the Greek archbishop “‘to influence’ those bishops who disagree with the decisions made at Crete”. He also warned that the Ecumenical Patriarchate “would break off all contacts” with such individuals who disagreed. A number of individuals did indeed disagree, among them Greek archpriest Theodore Zisi. After repeatedly asking his bishop Metropolitan Anthimos of Thessaloniki to disavow the charges of ecclesiological heresy and receiving no reply whatsoever, and after being publically rebuked by him, on the past Sunday of Orthodoxy he ceased to commemorate him. Thereupon Metropolitan Anthimos suspended him. Things are hot in Romania as well as Greece. Those opponents of the council who persist in vocal denunciation of it will face “disciplinary, administrative and canonical sanctions”—i.e. suspension or deposition. I am not a big fan of the council. The decision to ask only representatives of the universally-recognized autocephalous churches and not all the bishops that could attend, the decision to exclude such pressing problems from its agenda as the status of the Orthodox Church in America, and the other bishops in the so-called “diaspora”, the decision to meet for only one week—all of these give the impression of a stage-managed event, the purpose of which was to make a splash in the international press and aggrandize the Ecumenical Patriarchate, not to resolve the many pressing issues facing the Church. If one were serious about dealing with modernity as Vatican II attempted to deal with it, one wonders why the Great and Holy Council didn’t invite a similar number of bishops to attend as Vatican II did and spend a similar amount of time debating. The real problem however is in the aftermath. One can declare the event “great and holy” all one likes, but in Orthodox theology what makes a council ecumenical or great and holy is its reception by the faithful after the attendees have returned and the rank and file start to debate its findings. Long ago we told Rome that although the Faith may be defined by bishops in council, it is recognized and preserved by the totality of the people of God throughout the world. That is how we know that the council of Nicea in 325 was a true council and the later council of Sirmium in 357 was not; how the iconodule council again held in Nicea in 787 was a true council and the iconoclast council held in Hieria in 754 was not. Doubtless the bishops meeting in Sirmium and Hieria loudly declared their gatherings were great and holy, but the verdict on their greatness, holiness, and authenticity lay with the people who considered their findings afterward, not with them. That is why it is a mistake to shut down discussion. It is hard to listen to voices saying things one violently objects to, especially if what they object to is something you said. It is even harder to bear with discussions when one finds oneself personally the target of denunciation. It is true that not all discussions are equally polite. Some are quite impolite and the language used inflammatory and over-reaching. But shutting down the discussion is still a mistake, for the discussions are the way the Church at large has of eventually making up its mind so that the council will either be received as genuine or rejected as erroneous. Besides, the discussions will take place anyway. Sometimes one wonders if the bishops trying to silence their opposition have ever heard of the inter-net or social media. Heavy-handed attempts to pre-empt or forbid working through the topic only serve to polarize matters further and make true dialogue more difficult. It might even provoke schism. Denunciations of the council need to be answered, not silenced. If the council is truly that great and holy, the people will work things through eventually and know soon enough. Bishops need not only the boldness to speak the truth, but also the patience to wait while their faithful flocks receive what they have spoken. After all, the truth of Orthodoxy is ultimately preserved not in the Phanar, but in heaven. The one who ultimately guides the Church is not the Ecumenical Patriarch, but the Holy Spirit. It is time to relax and trust Him. What Does an Ecumenical Council Look Like? I hate to say it; I truly I do. But “The Great and Worldly, Heavy-handed, Predetermined-outcome Gathering” would be a more accurate description of what occurred in Crete. So many Faithful were hoping for a council worthy of the Church of Christ. What they got instead was a gathering worthy of the Politburo – and this in spite of the good faith of many participants. In no way can it be said to have been Great and Holy, or even Ecumenical (in the Orthodox Christian sense of the word). If it were, the Faithful would have received it with joy, and the only controversy surrounding it would be coming from those outside the Church. While I appreciate the zeal of those who oppose it, perhaps the most effective response for the good of our Churches is to ignore it altogether. In my opinion it is important to understand that the EP’s (and by extension the leadership of GOA – not just the bishops but also the theological/intellectual leadership such as those who run Fordham’s “Orthodox Christian Studies Center”) understanding and “way of dealing with modernity” (as Fr. Lawrence puts it) is now about 100 years old and actually quite entrenched. Whatever one thinks of it (I myself reject it almost all of it) the simple fact is that many many of the Faithful do support it and have for quite a while. Indeed, for such people there is no other side to consider – only “fundamentalists” to either be shouted down or patiently worn down. Indeed, as the life and work of Met. Kallistos Ware could be summed up as this “patient” effort. On the other hand, you have a kind of almost “instinctual” rejection of this particular form of rapprochement or detente with secularism/modernity from many of the Faithful as well as large portions of the non-greek speaking Orthodox world. Thing is, we don’t have someone of the stature of Met. Kallistos or academic programs churning out scholars and scholarship based on this secularized theology. your definitively at the “let the dead bury the dead” point, but how long have the mainline Protestants been at this point? How long can such secularizing theology and living last? Quite a while I think – that is the thing about the world. This is just my opinion, but I think it is already too late – the secularism (which is nothing more or less than a kind of false rapprochement with the world and in that is a very old problem) which is the ground of this “council” and the source of disagreement, is already deeply entrenched. I would even say that our communion within so much of “canonical Orthodoxy” is a bit of a sham. Not sure where all this leads, except to note that it (i.e. the conflict and shouting) is probably going to get much worse before it gets better. I am sorry to say that I agree with all you write. My sense of things is that there is a hidden schism in the Church, a schism of heart, that only occasionally erupts into open disagreement about such things as ecumenism. The real and hidden separation is between those whose heart has been seduced by the World and those willing to tell the World to go hang for the sake of the Gospel. The former court popular applause in the forums of Academia and in the media. This results in all questions in the Academy treated as worthy of discussion and consideration (thus the refusal to condemn outright the ordination of women), and in cozying up to other Christian groups and refusing to name them as schismatics. This schism of the heart is often papered over by the fact that bishops use so much traditional jargon. But once in a while the gloves come off and one can see on which side of the divide people really stand. Perhaps the shouting may not be all bad. As strange as it may sound, I think the voices of which you speak ARE coming from outside the Church. It is only that they, and perhaps the rest of us, don’t realize it just yet. The older I get the more respect I have for simplicity and the less respect I have for the subtleties of academia in which I once thought it was important to partake. I have mentioned it in other contexts, but it bears repeating: knowledge undisciplined by revelation is not knowledge in a truly Christian sense. And if that means the faithful must appear ignorant and ‘unenlightened’ to those in the academic world, so be it. There are few things more beautiful than the expression of knowledge (even knowledge of an academic sort) disciplined not by the critique of academic peers, but by revelation and the Spirit of Truth. And there are few things more unbecoming to Christians than spending “their time in nothing else but either to tell or to hear some new thing” which is what most, though thankfully not all, of academia is all about. I suppose what I really mean by “ignore it altogether” is to let God sort it out, and I believe He will. Everything is slowly being revealed for what it is, and I must be patient even if it is not fully revealed in my lifetime. Clearly I don’t ignore it, but I cannot control it either, nor can any of us. I hate, for example, to see a faithful priest be suspended over what for him is a matter of truth but what for his bishop is likely little more than a political power struggle that is greater even than he has the power to control. Truth be told, there are few outside the episcopate that can ‘do’ anything about it, and I have no envy whatsoever of their power – nor of their responsibility. Pray for our bishops and for your own bishop in particular. Are you discussing recent history or ancient? A date would help me put this in perspective since I am a fairly new convert. Thanks! Very recent. It was held in June 2016. I am less happy about labelling the EP an enemy or talking about war with him, if only because I then have no language in reserve to describe people I truly regard as our spiritual enemies. I am more concerned with the views he expressed in his 2008 book Encountering the Mystery than his views about our OCA autocephaly. 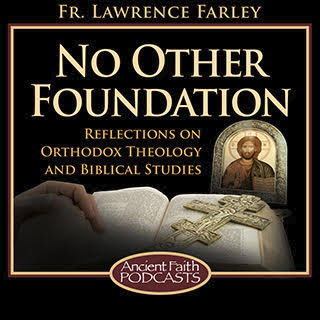 (My review of the book may be found at: oca.org/reflections/fr.-lawrence-farley/encountering-the-patriarchs-book ) God guide the EP and direct him! Which autocephalous churches were represented, if that is not a foolish question. Was the church of Moldova included with Romania? What about Antiochian Churches with mixed congregations? Can the people who worship in mixed churches such as Antiochian ,with Arab , Russian and Romanian etc congregations know which way to follow.? Not a foolish question at all, and the answer reveals something about how “great” or ecumenical the event really was. The Romanian Church did attend (their delegation included the Metropolitan of Moldavia), but the Churches of Antioch, Bulgaria, Georgia, and Russia did not. Unsurprisingly our own OCA was not even invited. One can know what was promulgated by the council by viewing their documents at their own website, found at: http://www.holycouncil.org/ . Thank you Father for all of this. Quick question on the attendees. Did Serbia attend? Yes, representatives from the Serbian church did attend. There are so many, myself among them, who looked forward to being able to give our hearty AMEN to the conclusion of this…whatever it was…when it was still in the planning stages and purporting to be a truly Great and Holy Council. But this only leaves more troubled consciences among many of the faithful. Troubling times are ahead, it would seem. All we can really do is keep the Faith once delivered and hope in God, for He alone is faithful. In our age of modernism, secularism, and confusion I am beginning to wonder if we are not better off remaining in a state of apparent (although among the faithful not actual) division. Perhaps – just perhaps – this is why our Lord found ways of ensuring that this gathering did not include a significant number of His Churches. If so, I am thankful regardless of my previous hopes for a Great and Holy Council or how it may appear to the world.